Amazing how many socks were hiding under my bed and in my closets! 25 clean socks. I will happily send you all the snow I am getting right now since you are more prepared for Winter then I am lol. I am! NOw if only this crappy 68 degree weather would go away! I think you need to crank out five or six pairs more and just wash your socks once a month. Awesomeness! I hoard the 2 pair of knitted socks I own! I better get busy! 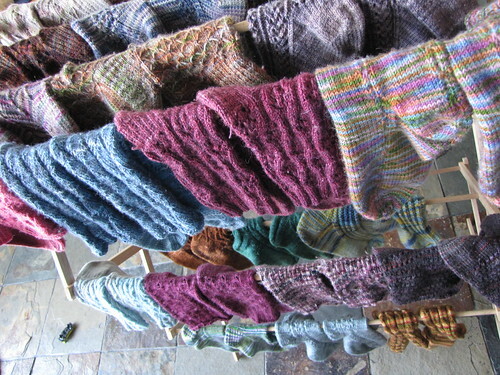 I need one of those nifty drying racks. I love this post! I like seeing the socks after they've had some time being loved and worn! Gasp! I need to find my sock mojo! I need more socks! I just finished doing that with my socks last week! Although, I am much less loyal to any brand of sock yarn! Is it wrong that those photos cause me to tingle down there... in my feet? Going through sock yarn yesterday only made me want more, more, more. Um...that's 26 pair. But that's ok because its a great photo!!! Bring on the cold weather I say!!!! Wow! That is most impressive! You'll be warm and stylish! 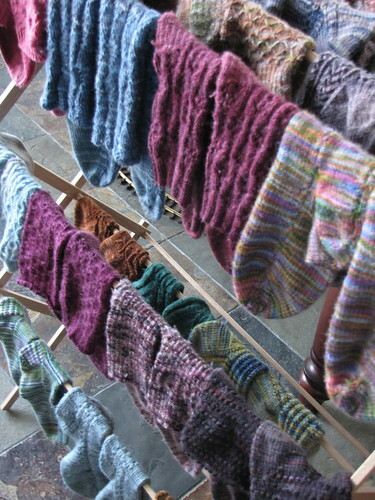 I've been working on a pair of socks and will look for the couple of pair I knitted last year. Whoa! Puts my wee three pairs of hand knit socks to shame. I need more for sure! Wow, awesome clothesline. I can identify about 6 pairs and maybe 4 colourways there. How scary is that? Now that's my idea of a winter garden! Not 25 socks. Not even 25 pairs of socks. 26 pairs of socks means 52 socks! You are set for the winter! 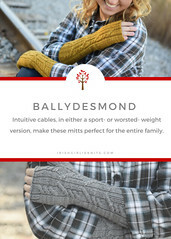 Follow Irishgirlieknits's board Irish Girlie Knits Designs on Pinterest. More details on IGK Patterns and purchasing info.